LG Chem is part of the innovative Korean-based International LG Group of companies, with 22 years of experience in the global energy sector. The LG Chem RESU Battery comes in a range of models to suit different requirements. Lamination & stacking technology is utilised to provide product stability and durability, ensuring 80% of capacity retention after 10 years. 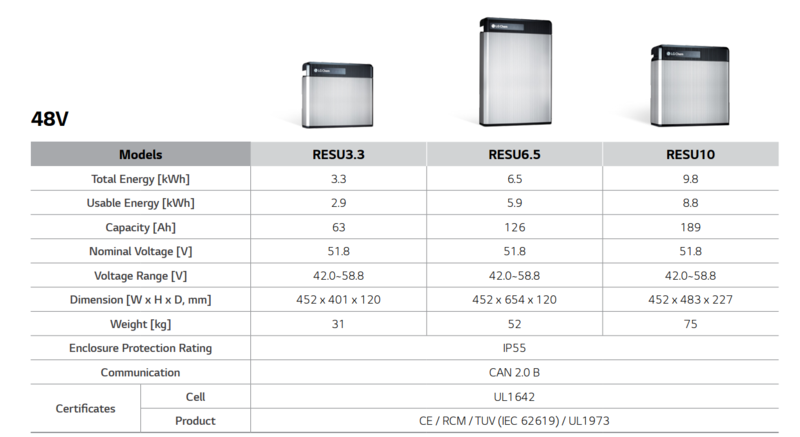 48V RESU batteries come with a storage capacity of 3.3kWh, 6.5kWh or 9.8kWh.